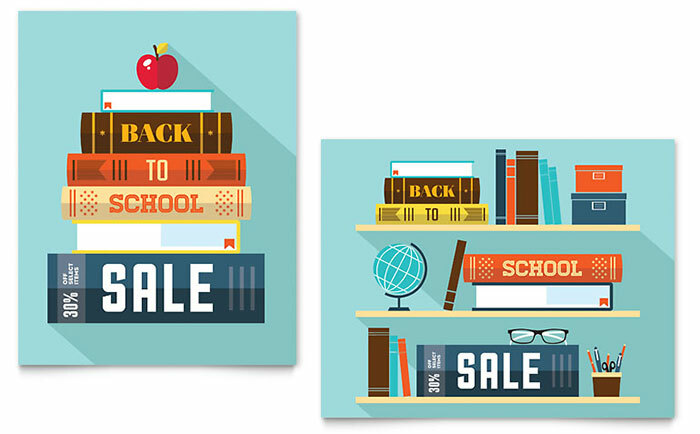 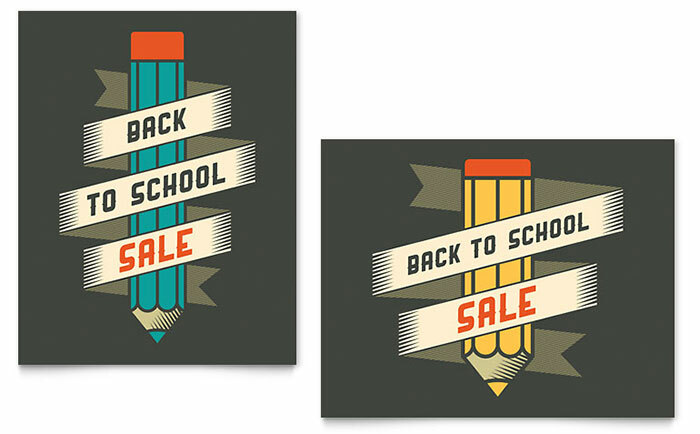 Back to School is the perfect time to promote retail sales. 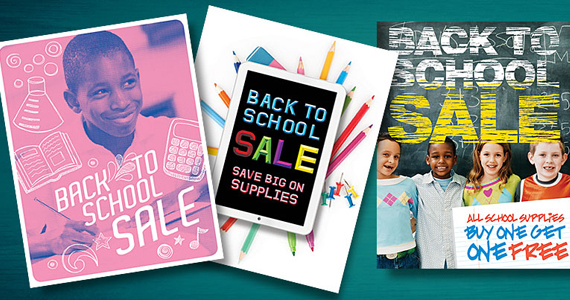 Well-designed, eye-catching posters displayed in your store windows will get the attention of shopping customers. 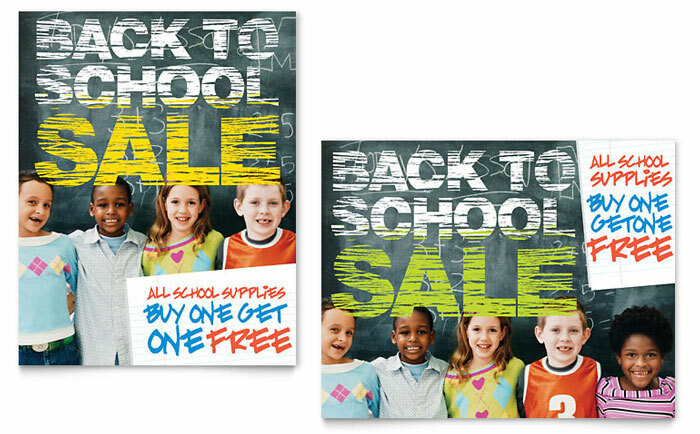 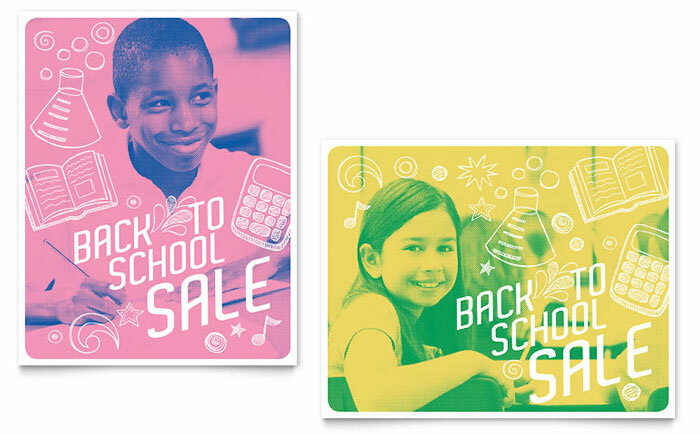 Create your own amazing back to school posters or flyers with StockLayouts design templates. 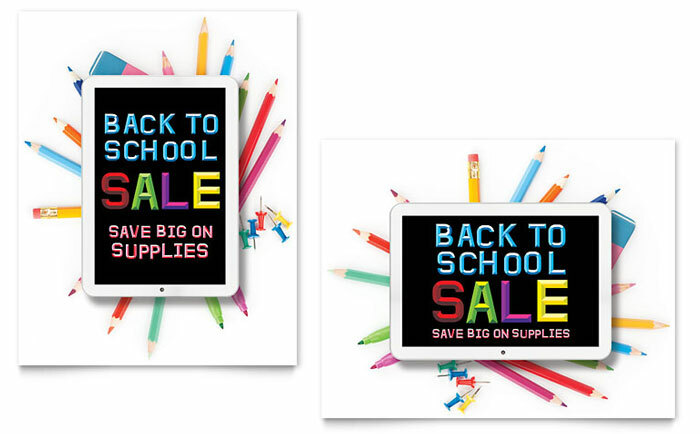 Print the finished designs on a large format printer for even more impact.